PMWeb is a comprehensive web-based portfolio, program and project management solution that provides a thorough set of project control tools in a single configurable package. 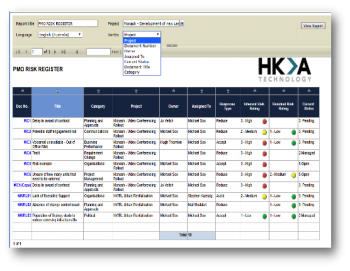 PMWeb is delivered and implemented by HKA Tech, part of the global HKA organisation. HKA is one of the world’s leading providers of consulting, expert and advisory services for the construction and engineering industry, with over 900 professionals operating from 39 offices in 19 countries worldwide. HKA Tech is the largest implementing reseller of PMWeb globally. 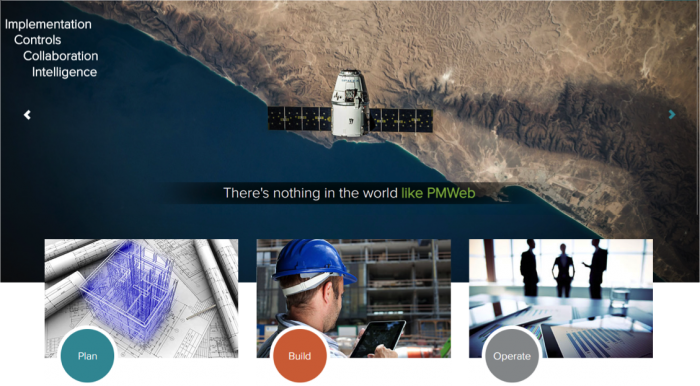 PMWeb’s features for managing Portfolios, Programs and Projects form part of an overall solution for managing projects throughout their lifecycle – from concept, through planning, design, documentation, procurement, construction and contract management, commissioning and handover to long-term asset management. All information is held in a secure Microsoft SQL Server database, whether the system is delivered on a client’s premises, in a client’s Data Centre or Cloud facility, or by PMWeb Software as a Service (SaaS). PMWeb’s features include adapters for importing data from both Primavera and Microsoft Project, working in conjunction with PMWeb’s native Scheduling functionality. Larger and more complex integrations with Primavera are enabled through Microsoft SQL Server Integration Services (SSIS). Microsoft’s powerful Business Intelligence engine also forms part of PMWeb, to provide advanced analytics in coordination with PMWeb’s functionality for the management of cost, schedule, earned value, trends (MTA), benefits, contracts, change and risk; as well as related activities such as collaboration and document management. 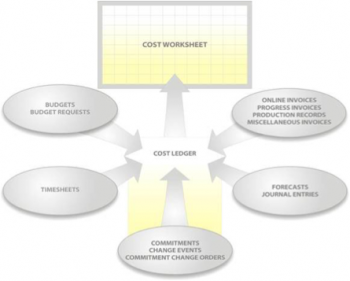 The Cost module is one of PMWeb’s greatest strengths. Users can manage and track funding, budgets, contracts, change orders, risks, forecasts, invoices and payments. In addition, users can easily create cash flows and view projected costs for multiple projects and programs. Cost information can be entered directly into PMWeb or integrated with other financial systems. PMWeb has more than 120 “out of the box” reports and dashboards that are operational immediately project/contract data is loaded to the system. Additional reports and dashboards can be readily added using the in-built Microsoft reporting tools. PMWeb provides a single interactive dashboard for Claim Analysis, Cash Flow, and Earned Value as part of a complete scheduling solution with critical path management, drag and drop Gantt chart, baselining and more. Users also have the option to link to Primavera and MS Project schedules and to coordinate analysis with tools such as Acumen Fuse. Schedules can be cost and resource loaded and linked throughout all of the other features in PMWeb such as budgets, forecasts, RFIs, submittals and daily reports. Standard reports allow users to automatically compare multiple schedule versions; and rapidly identify both the responsible party and impact on schedule and budget. PMWeb provides a complete solution for managing contracts from execution through to contract close. If used in conjunction with PMWeb’s Planning Module, the pre-contract process can be tightly linked to the contract record. In addition to a number of collaboration features, PMWeb Forms give users the ability to collaborate and manage drawings, RFIs, submittals, daily reports and all types of documents. PMWeb Change Management is integrated across all areas of PMWeb, including Workflow, to ensure change decisions are properly informed and recorded in a permanent record. 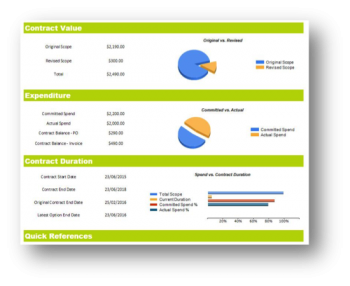 Many clients ask us to provide dashboards tailored to how they want to manage all aspects of their contracts. 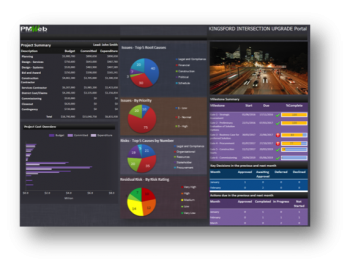 Typically the dashboards will draw together relevant information from all areas of PMWeb’s unified database – including not only information on contract status, costs to date, variations, updated estimates and the like; but also information in areas that can directly impact contract performance, such as risks, issues and outstanding actions. Dashboards include drill-down capability to underlying information in real time, as well as the ability to print in formats such as .pdf and Excel. PMWeb allows users to easily build workflows with the drag and drop functionality. The Workflow module enables routing of any type of record such as budgets, contracts, change orders, RFIs, submittals, daily reports and more. Workflow tools include customisable email templates, alerts and branching including limits of authority or record metadata. Automatic notifications send alerts via email and allow users to review, analyse and respond to workflows within the email itself. Workflows can also align with existing PMWeb features or any custom features you build with the PMWeb Form Builder. PMWeb provides configurable tools to manage risks across individual projects, multiple projects, complex programs of works and multiple programs. PMWeb’s unified database allows the association of any and all record types; and the generation of reports that use Microsoft Business Intelligence to analyse information. Standard dropdowns allow selection of likelihood and consequence on a 5x5 matrix; and can be easily renamed or expanded. Likewise, other existing dropdowns (such as Risk Category, Response Type, Originator, Assigned To) can be amended and new fields/dropdown lists added. Configurable Risk Reports and Dashboards. HKA Tech’s PMWeb PMO Quick Start Package allows the rapid set-up of robust systems and processes, based on proven approaches to Program/Project governance and administration. Clients may elect to have PMWeb installed in their own premises or in their own Data Centre or Cloud location. PMWeb is also available as SaaS (software as a service), delivered from PMWeb's US Data Centres or via Amazon Web Services. Amazon delivery locations include England, Ireland, Germany, Singapore, Japan, Korea, India, Brazil and Central Canada. conducted Maturity Assessments using international standards such as the Project Management Institute's Organizational Project Management Maturity Model (OPM3) and the UK Portfolio, Program & Project Management Maturity Model (P3M3). HKA provides Consulting, Expert and Advisory services for the development of major projects, programs and assets around the world, working to achieve clarity and certainty for clients in delivering their outcomes. HKA Tech is dedicated to implementing PMWeb and has worked with more than 150 organisations in training and configuring PMWeb to meet their unique and industry specific needs, bringing current and best practices to every engagement. HKA Tech has been servicing private and public sector clients since 1996 and is the global reseller leader in selling, implementing and servicing PMWeb.